It was already a foregone conclusion, but Democrat Jen Jordan has become the newest member of the Georgia State, ending a two-thirds supermajority previously enjoyed by Republicans. Jordan, a lawyer, won the election over Howard, a pediatric dentist, with 10,681 votes (64 percent) against Howard’s 6,017 votes (36 percent). Howard and Jordan entered the runoff after drawing the most votes in a crowded field during the initial election. The seat was previously held by Republican Hunter Hill, who resigned to run for Georgia Governor, so it was a big surprise that two Democrats garnered the most votes. The race drew plenty of interest from well-off candidates and donors as the five Republican and three Democratic hopefuls drew more than $1.1 million in donations and loans. The district includes some of the wealthiest portions of Atlanta, including parts of Marietta, Smyrna, Vinings, Buckhead and Sandy Springs (a district map is available at this link), a fact reflected in the impressive contribution totals for the candidates. 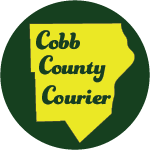 Howard won handily in the Cobb County portion of the district, taking 3,021 votes to Jordan’s 2,066. But Jordan’s base in Fulton County showed up in large numbers, giving her nearly two-thirds of the vote total. Jordan, a lawyer originally from south Georgia, carved out a campaign message promising to raise the minimum wage in Georgia to $10.10 per hour, or at least to give local municipalities the power to set their own wage standards. She reported $234,650 in total contributions from more than 100 individual contributions, many from Georgia lawyers. She spent more than $65,000 on mailers and paid Macon-based Southern Majority LLC $72,982.60 for consulting and communications services. Howard, a dentist, focused his campaign message on education. He reported $317,897.62 in total contributions, much of which came during an unsuccessful 2016 run for the same seat. Larger donors to his campaign included The Barnes Law Group ($2,000) and West Paces Ferry Orthodontics ($4,000). Howard spent more than $1,000 on Facebook ads $11,000 in consulting fees to political strategist Tharon Johnson, who served as Barack Obama’s southern regional director in 2012. Howard garnered 22.5 percent of the vote during the initial Nov. 7 vote, while Jordan drew 24.4 percent. Because no candidate drew 50 percent plus one, the race went to a runoff. Haisten Willis is a freelance writer who lives in Smyrna with his wife, daughter and dog. He holds a master's degree in journalism from California State University, Fresno, serves on the board of SPJ Georgia and even rides a bike when time allows. Why are the polls for Georgia Senate District 6 open longer in Fulton County than in Cobb?